Between 1914 and 1918 thousands of horses left New Zealand to serve in World War One. Only four returned. When they left New Zealand travelled over the ocean for weeks and when they arrived in Europe and the Middle East they were used to move equipment and transport troops. At the conclusion of the war the cost of returning the surviving horses was deemed too prohibitive, there was anxiety that the horses would bring disease back and suitable transport was scarce. The order was given to kill the older and unhealthy horses, give a portion of the remaining horses to the continuing imperial forces and sell the others to interested parties in France and Britain. The current Tylee Cottage Artist-in-Residence is Cat Auburn. 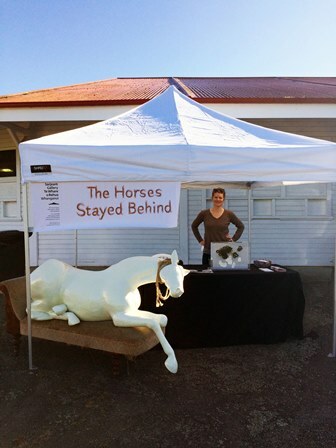 Her residency project focuses on memory and mortality, reflecting on the fate of the horses who never returned. Grief and the ways in which it affects an individual, a community, a nation – immediately and over the course of generations – is central to this project, as Auburn seeks to create a collaborative memorial to war, community and animals. 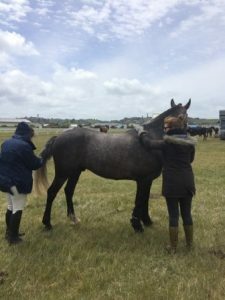 She is asking horse riders from all over the country to donate a small clipping of full-length horsetail which she will then weave into flowers, in the style of a Victorian Hair Wreath, and create a large memorial tapestry with the many donations. The main purpose of a Victorian hair wreath was as a memorial of family and community. Women would create intricate embroideries using hair, often from the deceased. 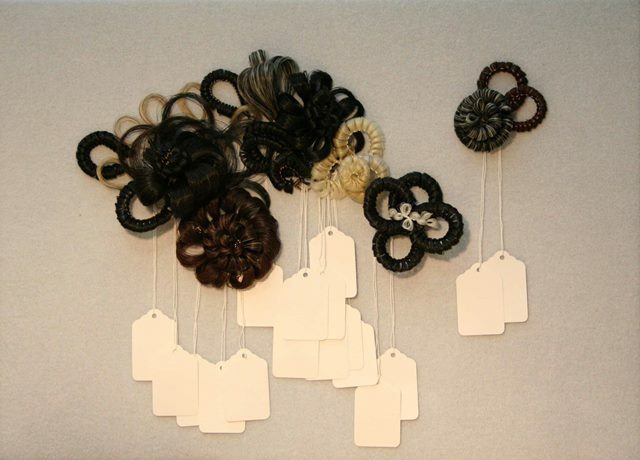 The Victorian obsession with death and the macabre made such hair craft less taboo than it is today and Auburn’s project uses the modern unease with hair as a decorative material to highlight the modern discomfort with war. The project also juxtaposes the primarily masculine domain of war with the feminine world of domesticity and craft. Over the last few weeks Cat and I have been visiting A&P shows across the lower North Island and as far as Canterbury. 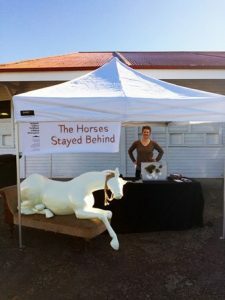 At these shows we have been collecting donations and talking with horse riders about the project and hearing theirs stories of beloved ponies and horses. We will be continuing to visit these shows in the coming months as well as visiting groups within the equestrian community to discuss the project and collect hair.